Supplier sales executives buying dinner for their Kroger or Walmart buyers to talk over the brick-and-mortar business is not a recipe for e-commerce success, according to Guru Hariharan, CEO of Boomerang Commerce based in Silicon Valley. He said buyer relationships with suppliers are absent from Amazon’s DNA, and it’s a mistake for consumer packaged brands to keep using the same tools for e-commerce that have served them well in brick-and-mortar for three decades. Hariharan said Amazon and Walmart are using algorithms to run their online businesses, and you can’t take an algorithm out to dinner. 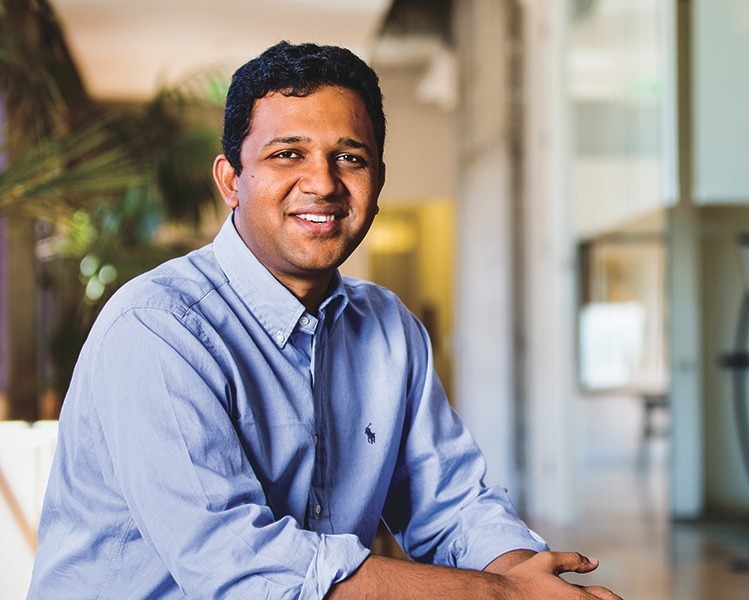 Hariharan, a former Amazon manager of seller services and the global services director at eBay, launched his technology startup Boomerang Commerce in mid-2012. Since that time he has worked to develop technology tools for retail suppliers trying to compete in e-commerce retail. Boomerang launched an artificial intelligence (AI) platform called CommerceIQ, developed with the help of three large consumer brands. Using machine learning, algorithms are taught to automate sales, marketing and supply chain decisions for driving more online sales for Amazon, Walmart and other e-commerce players. Research indicates more than half of U.S. retail purchases are either transacted online or influenced by e-commerce. The National Retail Federation survey revealed 67% of Millennials and 56% of Gen Xers prefer to search and purchase on e-commerce sites rather than in store, compared to 41% of Baby Boomers and 28% of seniors. Consulting firm Big Commerce notes in its 2017 Omni Channel Retail Guide that 96% of Americans with internet access have made a purchase online, and 80% have done so in the last month. Hariharan said brands often send a person to do a machine’s job. He said when decisions are made through Excel, e-commerce teams spend 90% of their time monitoring and analyzing data, and they find themselves playing catch up. But when machine learning is leveraged to automate the data analysis, sales teams can focus on exceptions and marketing. Campbell Soup Co. was one of the companies testing and using the CommerceIQ platform to manage online sales. Predicting out of stocks is one area where CommerceIQ helps suppliers. One supplier who tested the platform found CommerceIQ predicted high traffic power items would go out of stock and then provided some recommendations to mitigate the risk. The result was able to save the brand $120,000 per item per week, money that would have been lost from being out-of-stock, according to a Boomerang case study. Gary Liu, Boomerang’s vice president of marketing, said CommerceIQ can also identify competitor promotions that steal market share from a brand and then recommend defensive strategies, or just as easily work for the underdog to pick up share. He said a top vacuum cleaner brand like Dyson that doesn’t have the right online strategy and tools at work might have a hard time competing against Eureka or Bissell, whose brands more often appear on the first page of consumer online searches. “If brands don’t show up on a page one search they are basically dead in the online world,” Liu said. New research from CPC Strategy found 70% of Amazon shoppers are not willing to go past page one in their search for products online. The first three products displayed on page one account for 64% of the customer clicks, the report states. More than one-third of shoppers purchase the first item seen in a search listing on page one. The marketing function automates ad bidding on Amazon Marketing Services to maximize profitable growth return by balancing return on ad spend, retailer profitability and in-stock levels. The operations function can predict out-of-stocks weeks in advance to avoid delisting. The technology function comes with pre-built plug-ins into vendor tools provided by Amazon and Walmart’s Retail Link systems to help automate reports ordered by sales teams. Hariharan unveiled CommerceIQ at the recent ShopTalk retail technology conference in Las Vegas. Raymond James & Associates analyst Budd Bugatch said AI was a central theme tossed around at ShopTalk, adding AI’s potential in the retail segment is broad. That said, given the number of booths and speakers talking about AI in retail, Bugatch sees the field as a mixed bag for suppliers and retailers to consider. “Likely it is our lack of understanding, but we came away from the presentations and conversations with the impression there is no uniformity of understanding as to what applications AI will be best used,” he said. Boomerang said there are first mover advantages for those using AI-empowered platforms, noting startup brands continue to pick up share against national brands online because many have built the right systems to manage their one or two items.